It's Ellington's 116th birthday anniversary, and we here at Gems could not let it pass by without offering our devoted followers a little something to celebrate. So, here's the Duke on the air, doing remotes for the United States Treasury Department in an effort to move a few War Bonds during the last big one. But ... before we get to the good stuff, a little story. 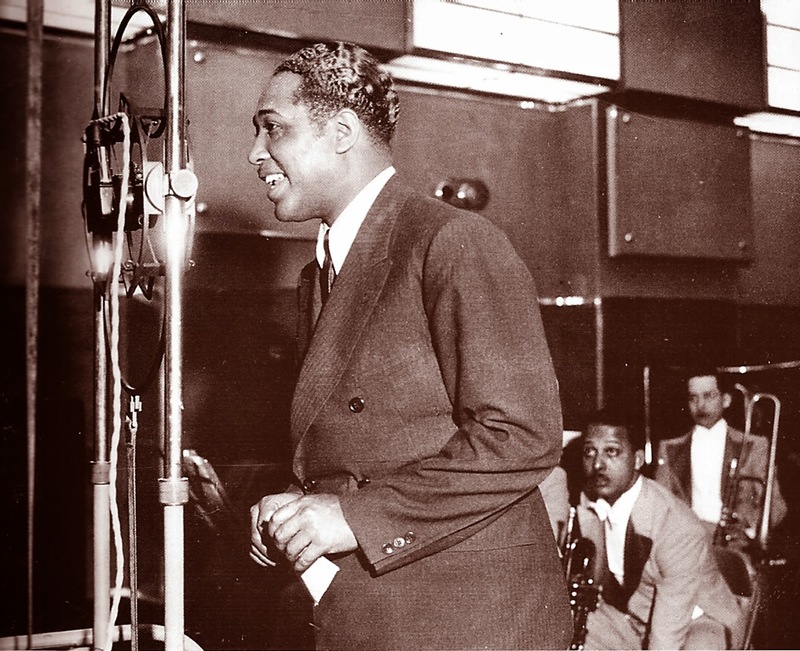 Long-time visitors to this blog may recall that a while back we posted an Ellington download taken from Victor's original 78-rpm release of "Black, Brown and Beige." Many of you were appreciative of the dub, despite its audio limitations. All well and good, and Gems moved on to other postings. But about four months ago, I was contacted by a very nice woman interested in "Black, Brown and Beige" – specifically, in that odd paper sleeve that Victor issued the Duke's magnum opus in. This person, it turns out, works at the Museum of Modern Art here in the Big Apple. 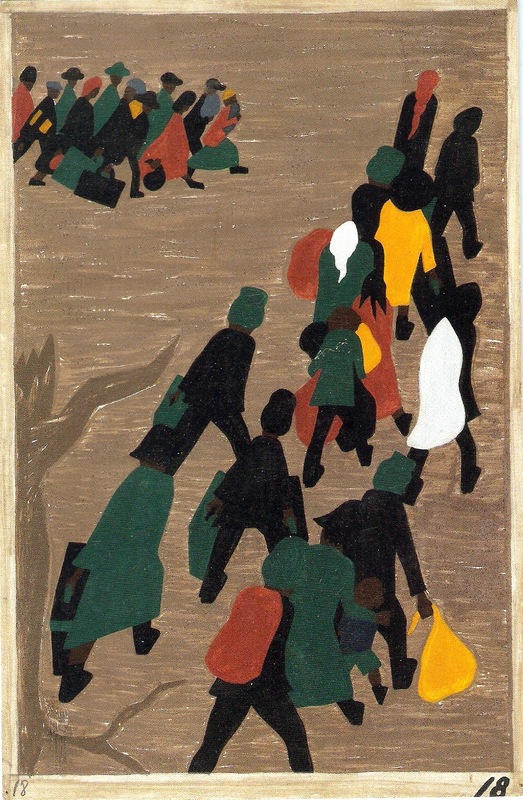 She was helping to produce their next big exhibit, a complete showing of artist Jacob Lawrence's "Migration Series," a 60-painting pictorial narration of the African-American migration to the north between the world wars. In searching around the interwebs for a source for that "Black, Brown and Beige" album which the museum wanted to use in the exhibit, she found Gems. One thing led to another, and the upshot was we were delighted to supply MoMA with our copy of the album for the Lawrence exhibit. So, never underestimate to power of the web. You never know who's out there checking you out. The show, by the way, is highly recommended. The presentation of Lawrence's work is excellently done and the ancillary material, including films of Billie Holiday and Marian Anderson, is superb. On to this posting's offering. In the last year of World War II, Ellington was tapped by the U.S. Treasury Department to do a series of broadcasts to promote the purchase of War Bonds to fund the war effort's final push. Duke did a year of Saturday programs, each an hour in length. 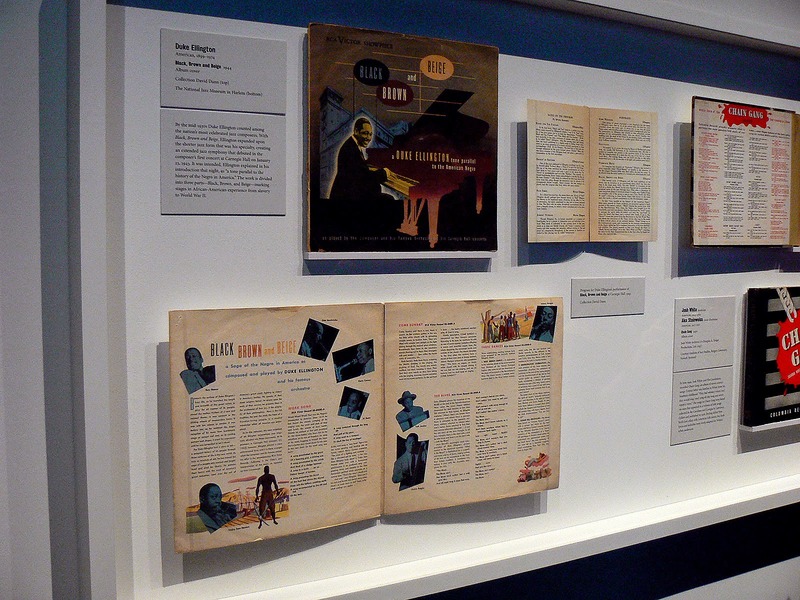 They were preserved on acetate discs and many decades later, a group of Ellington fanatics released the entire year's worth of shows on a series of 50 LPs. In my years of collecting, I've managed to find about 30 of these discs and hope one day to complete the set. I can't post all 30 here, so I thought instead I'd upload the first and last album in the series. So here's Duke in 1945. He plays the "Perfume Suite" on the first disc, which, you will notice, uses the original, provocative title for the second movement, "Violence." 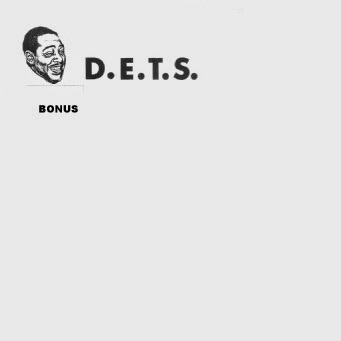 The second offering, the "Bonus" LP, is a remarkable document with a tribute to FDR broadcast shortly after his passing in 1945. Poignant! As an added treat, there's also a 1953 aircheck from the famed Blue Note in Chicago. Don't miss Ray Nance's romp on "Basin Street Blues"! You'll note that these files are not broken down into individual tunes, as the records presented them as one continuous cut. 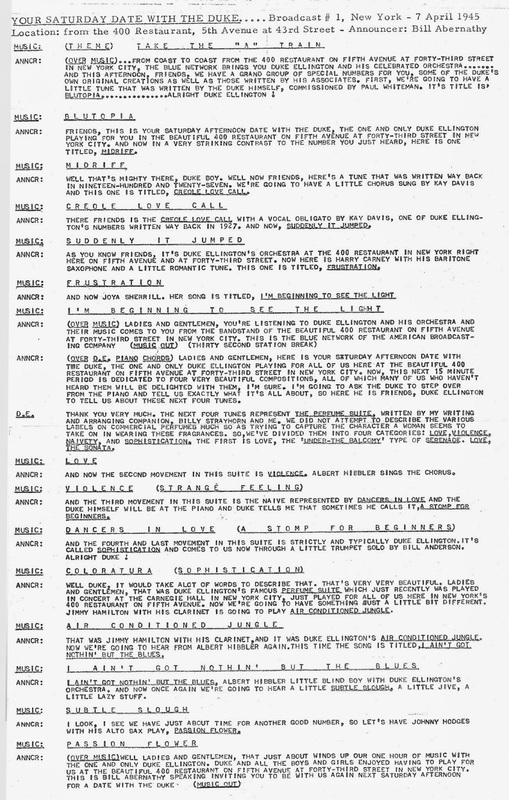 I've appended the liner notes to the first LP here (if you copy and paste the file to your desktop, you should be able to read it). Unfortunately, there were no liner notes to the Bonus LP. 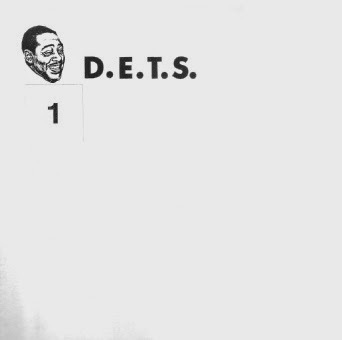 The covers are, as you can see, minimalist. The files, as always come right from the virgin vinyl, no cleaning needed. The download is a big file (200 megs), so give it some time. Happy birthday, Duke! Cat Anderson, Jimmy Hamilton, Joya Sherrill, Kay Davis, Al Hibbler. Kay Davis, Al Hibbler, Jimmy Grissom. Your copy of BBB looks good in the MoMA picture! BTW, that's Artie Whetsol in the picture with Duke & Tizol. That's why I love the web, sunman. There's always someone out there who knows the answer. Thanks for the correx – I'll make the change right away. I look forward to hearing this.Thanks! now thanks for this duke, ornette (tears), and billie. Gems tries to cover all eras, Robert. Glad you're enjoying the postings. More to come! Just found your blog and I think it's great! Thanks for this. Love these recordings. FDR died on April 12, the show in his memory is from two days later April 14, 1945. Yo puedo decir lo mismo de sus mensajes. Soy salvo por Google Translate! Thanks a lot for this nice gift. Ellington, Paul, the gift that keeps on giving!